Leigh Sales on "the worst year of my life, easily". ‘I would like to judge my moment to go before people get sick of me’. 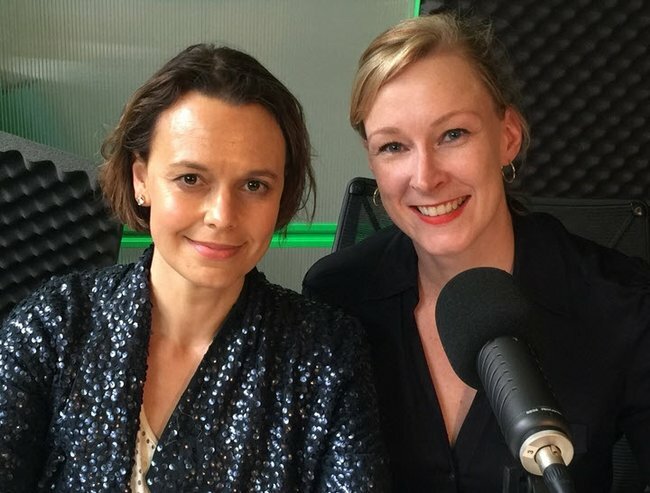 On the latest episode of Mamamia’s No Filter podcast, Mamamia Content Director Mia Freedman spoke with 7.30 host Leigh Sales about how she deals with haters, what it’s like interviewing some of the most powerful people in the world and how she almost died during the birth of her second child, James. “The end of (my second) pregnancy (in 2014), I had a really disastrous birth, I had a uterine rupture… I had a massive haemorrhage and emergency surgery and stuff,” Leigh told Mia. Sales was in hospital for weeks on end following James’ birth. And then at five weeks, James got viral meningitis. “It was definitely the worst year of my life, easily,” Sales said. However, six months later she was back in the 7.30 seat, asking the tough questions. Following her return to the 7.30 chair, Sales has gone from strength to strength. And as for the haters? She says there isn’t much you can do about them. During Malcolm Turnbull’s first interview on 7.30, Sales was called out for being ‘too soft.’ Some people even implied that she was flirting with the new PM. “Malcolm can be quite funny and entertaining, and it’s good TV,” she said.